PALMDALE – America’s Job Center of California will host a job recruitment this Thursday for several positions for Foddrill Construction Corporation. The recruitment event starts at 10 a.m. Thursday, May 31, at the Job Center, located at 38510 Sierra Highway in Palmdale. 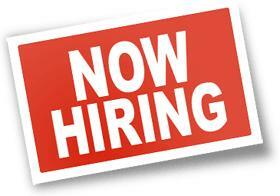 Positions are temporary six-month assignments in the city of Palmdale. Journeyman Electrician (State Certified) ($73.00/hr.) – Five years’ experience in electrical field, knowledge in electrical circuits, wiring and operating principals of electrical systems, knowledge of local electrical codes, read blueprints, and schematics and reference. Candidates must pass a drug test and background check, be registered with CalJobs, possess right-to-work documents and a valid ID (driver’s license and Social Security card), and bring a resume tailored for the desired position. For more information, email AJCCRecruitments@jvs-socal.org. 10 comments for "Job recruitment Thursday for Foddrill Construction Corporation"
What drug test do they do in Palmdale .for the hiring event for fodrill? Hopefully a better one than they did when Marv worked at Plant 42 as a firefighter. BOOOINNNGGGG! Marv got busted back in the day. The LA Times had a big article on it. Nothing unusual for Lancaster. Rex has a sordid history with dope. Now the two of them have come full circle as Lancaster tries to become the Cannibus Growing Capital of the World. Temporary jobs for temporary people in a temporary economy. Been there and done this and no matter how hard you work you won’t get hired. Our future has been strip-mined and the money reallocated to the C-suite execs and shareholders. Immediate profits above all: the American way. What kind of drug test do they do?? At americas job center in Palmdale?. They’ll dangle the lie that these jobs can become full-time permanent positions, but just use you up and lay ya off. I know, that is precisely what happened to me at a very well known satellite TV service provider. No matter how hard you work, you’ll never be hired. Full employment in 2018 is pure fantasy. This economy isn’t even close to full employment. Temporary jobs frequently turn into permanent jobs, depending on work ethic. Temp jobs? People want permanent jobs. Every construction job is a temporary job. Geez, you sound like Rex and Marv. There may be an open spot on a commission.